VAT is not deductible for transport services (e.g. rail, air or car travel) in France. For this reason, Trainline does not issue tax invoices. If you have booked a journey outside of France, e.g a Deutsche Bahn ticket, your ticket will may be VAT deductible and serves as the invoice itself. We recommend checking the specific transport VAT regulations for the relevant country. You can also contact us for more information. However, if you need a proof of travel or a proof of payment for yourself, your accountant or employer, then we can easily help you! 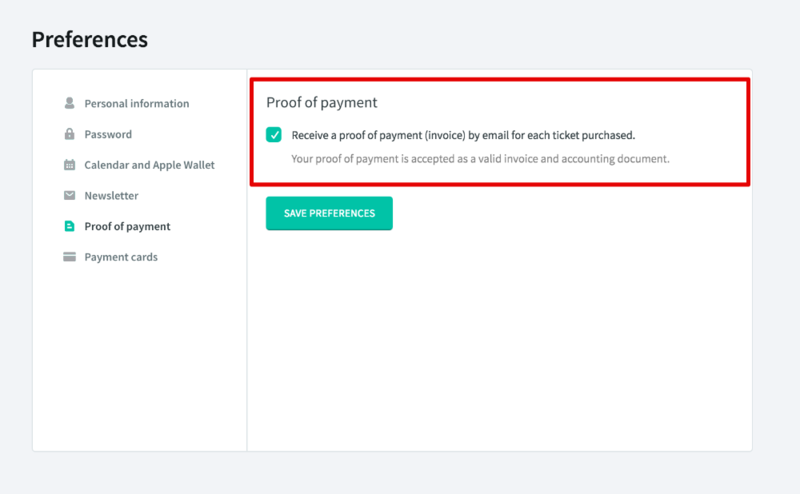 You can find a proof of travel (and payment) directly in your account, in the Tickets section. The following information applies only to Trainline account holders. If you would like to create an account, click here. If you regularly need a proof of travel for your accountant or employer, you can choose to receive one by email for every trip. Just click the relevant setting in your account preferences. If you have received a print-at-station ticket then this will suffice as a proof of travel as the ticket has been validated on board.